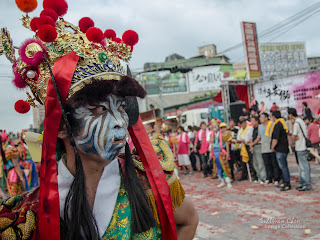 Temple festival is an unique and common culture in Taiwan. 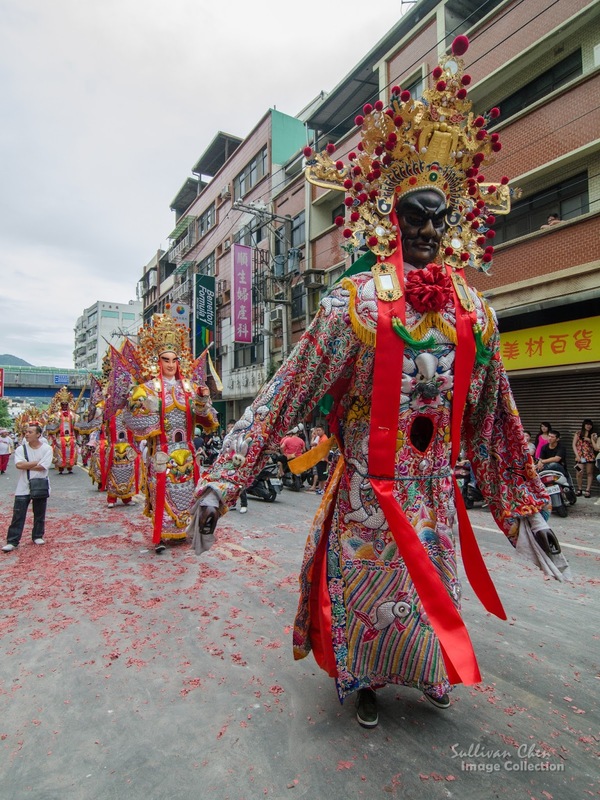 Thousands of temple festivals held in Taiwan, from north to south and from Taiwan to remote islands. The rituals of temple festivals differ events from events. You should choose one to join if you have an opportunity to have a trip in Taiwan. People build temples for the deities in order to glorify the merits they made. For example, Mazu was born in about 960 A.D. Her father and brother were fishermen and died from storm when fishing. She carried a lantern, according to an old tale, in the dark night at a cape to guide the fishing vessels after their death. At the beginning, fishermen and sailors built temples for her in order to keep safety when sailing. 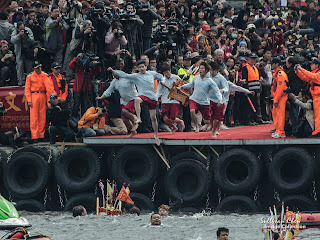 Nowadays, Mazu has became the most popular deity in the Chinese society of Southeast Asia. Holy Generals are the directors of divine army and they were famous generals when they were human. They are as tall as about 3 m and are made of bamboo so that people can carry the big bodies inside with their shoulders. Holy Generals represent the order of heaven. Guan Jian Shou and Ba Jia Jian present the law of the under world. Guan Jian Shou and Ba Jia Jianboth are the polices of under world but originates from different temple systems.The faces of players of Guan Jian Shou and Ba Jia Jian are decorated with terrible paints. Like polices in the ancient time, some hold weapons and some hold cuffs. Their paints, dressings and tools in hands make their image of under world police vivid in order to scare away ghosts that disturb the world. 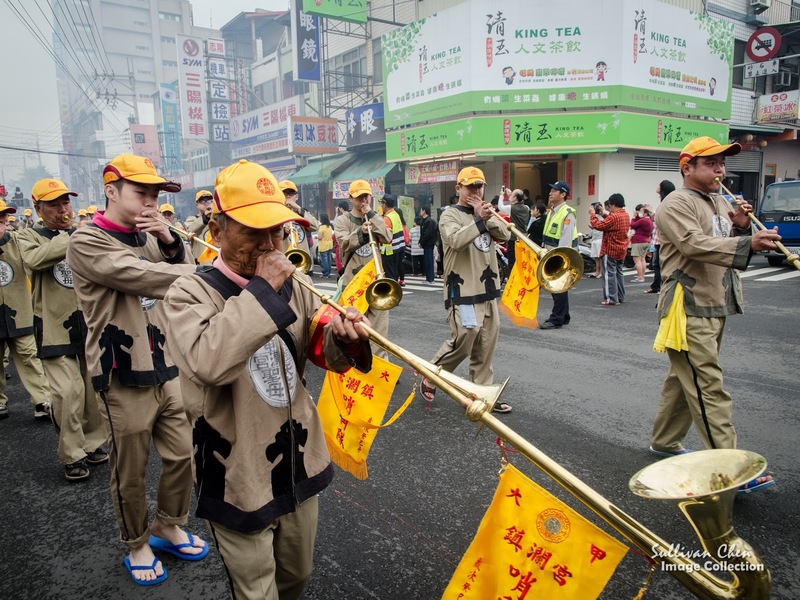 Some local stores will also invite Guan Jian Shou/Ba Jia Jian to go around their stores during the parade. San Tai Zi was appointed by the heaven government and was born to help to overcome the Shang Dynasty, an ancient dynasty about 1,600 BC to 1,000 BC. His image is a child and likes playing. Therefore. 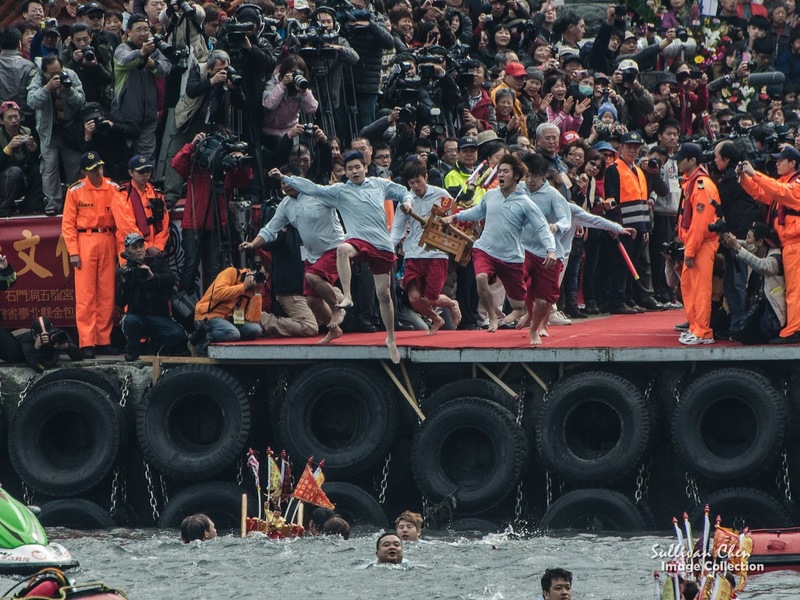 the performance of San Tai Zi always keeps pace with the pop culture within teenagers. 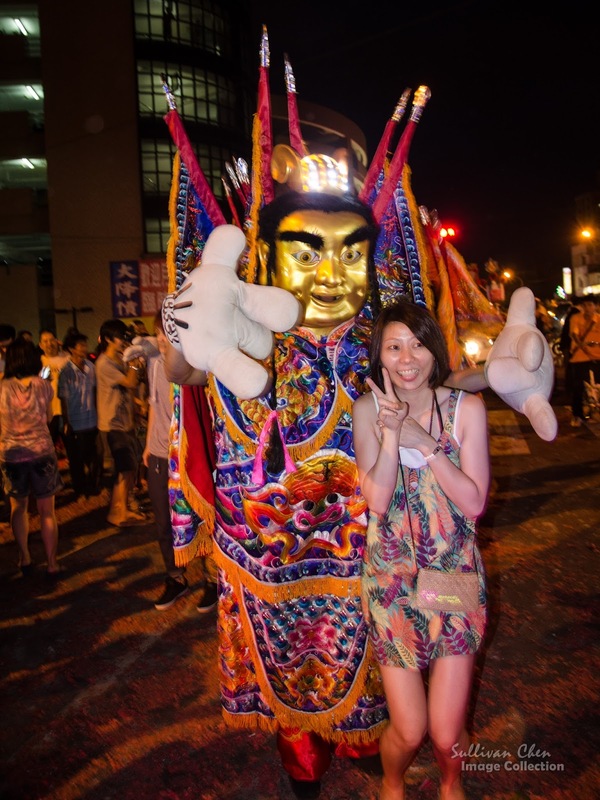 It is easy to find San Tai Zi during the all of the temple parade and he is the only deity that people can touch and play with. For sure, dragon dance and lion dance are also necessary in the temple parade. The success of performance depends on the teamwork. 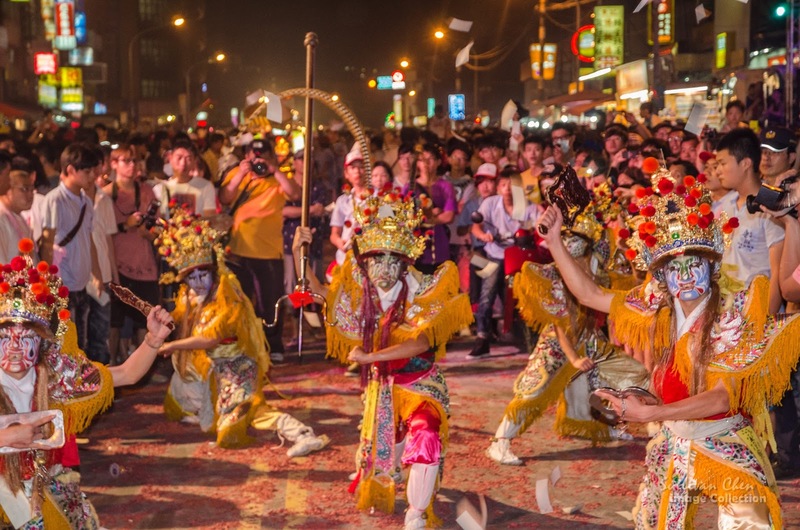 Be careful, dragon dance and lion dance will be accompanied with fireworks. Most religion materials are not allowed to touch. Ask if you are not sure. There is no taboo for taking pictures. However, don't stand in the moving line of the parade. 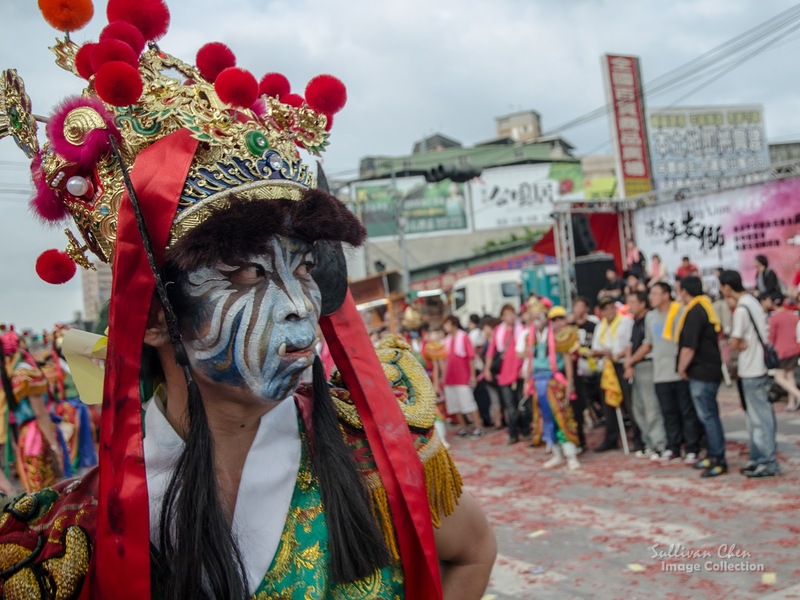 Nowadays, temple parades have become an unique culture and art in Taiwan. 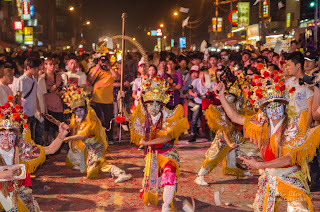 In the opening performance of World Game 2009, which was held by the Kaoshiung City, temple parade became the major theme. Each year, there are over thousands Temple Festivals in Taiwan. Some Temple Festivals can last for over one weeks, but may last for only a few hours. You don't need to put the Temple Festival particularly in your itinerary.You can organized your itinerary first and choose a Temple Festival that is convenient to you if any. 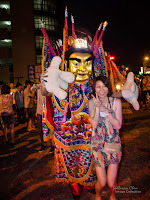 In the next blog Temple Festival (II), let's try to choose a for your itinerary.